While there is nothing groundbreaking about this outfit, I almost love it that much more. I splurged on this top during the Shopbop sale, and I’m so glad I did! 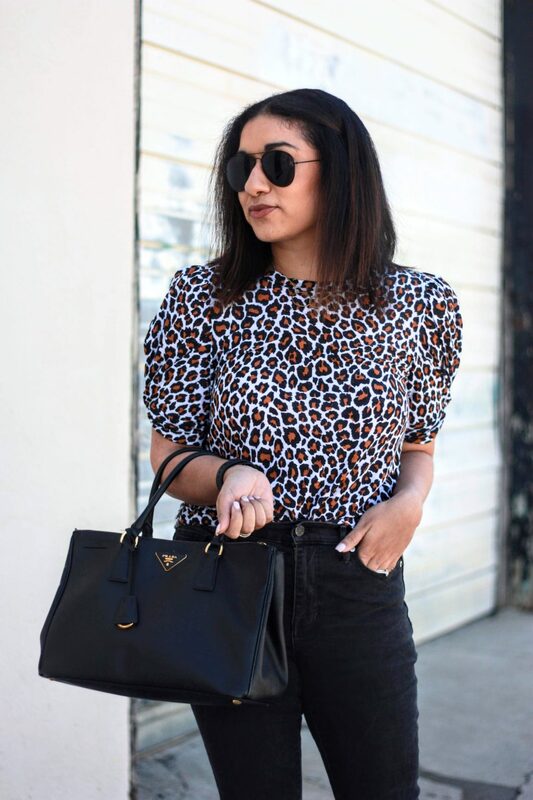 While I have approximately 209483024 leopard pieces in my closet, the puff sleeves on this one makes it special. The quality is great and it is so versatile. For work, I’d style this with paperbag pants and pumps, and I could easily sport this to brunch on the weekend with a denim skirt and slides. The styling possibilities are endless, so I justified the price with the inevitable low cost per wear. I got a size M in this and the fit is perfect. I kept the bottoms and accessories relatively simple, and went with a fun shoe to top the whole thing off. These were another score during the Shopbop sale and they are SO comfortable. I actually own a pair of Valentino Rockstuds, and these are far more comfy. These are another item that I was able to justify the spend because I know I’ll wear them to death this spring and summer. I can actually walk in them because of the block heel so they’re perfect. I took my true 8.5 in these. So there you have it. 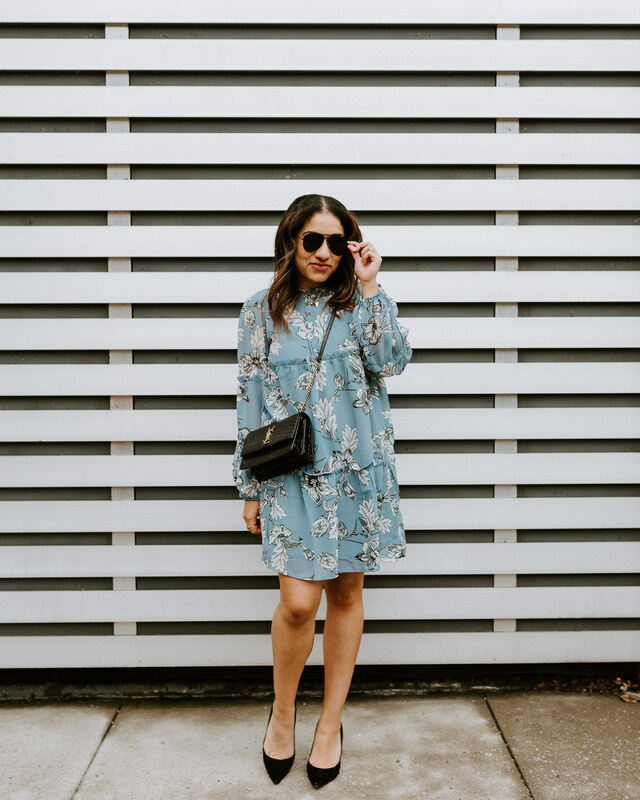 An easy, approachable, but still stylish outfit that I can totally wear in my day-to-day life. Let me know if you’d like to see this top styled other ways here on the blog or on my Instagram. Thanks for stopping by!